Knox Centre for Ministry and Leadership are delighted to announce the appointment of Dr Rosemary Dewerse to be the Thornton Blair Research Fellow. Rosemary is a highly trained missiologist, a skilled theological educator and experienced academic administrator. In a rapidly changing world, the need for ministers and leaders to keep growing is essential. The Thornton Blair Research Fellow is a new initiative of KCML, designed to enhance delivery of life-long learning. The Research Fellow will listen among key stakeholders and design life-learning opportunities that will integrate professional standards and higher education post-graduate requirements. Two pilot offerings in Christian leadership will be tested in 2018. After advertising in November and interviewing in January the interview panel were delighted to offer this fixed, two year, 0.6 position to Rosemary Dewerse. Rosemary was raised in the Presbyterian Church where her father was a minister. She has written and worked in the area of church as an intercultural community. She is the author of Breaking Calabashes: Becoming an Intercultural Community which offers four practices for creating communities that welcome and enable all people. Rosemary will be part of the KMCL team, based in Auckland. Who is Rosemary Dewerse? In making the appointment, the panel outlined a number of essential and desirable characteristics. Through the application material, referee comments and interview, Rosemary demonstrated a track record of competency in every area. She has a passion for the Gospel as good news for the church and world. She is married to Roelant and has two children. From 2012 to 2015 Rosemary worked as the Post-graduate Coordinator at Uniting College, Australia, which serves the Uniting Church in Australia (a partner church of the PCANZ). This involved leading over 60 postgraduate students working in both University and private higher education roles. She continues to maintain an active post-graduate supervision role and spoke of this being an area of great love, because of the sense of journeying together in mutual learning. Rosemary has completed a PhD in intercultural leadership development. She has successfully applied for re-accreditation of post-graduate qualifications. This involved not only redesigning the post-graduate courses in light of stakeholder feedback, but also gaining the best ever accreditation results in the process. Rosemary has taught in theological education for sixteen years in four different cultural contexts. She has published in partnership with indigenous theologians in both Australia and New Zealand. Rosemary’s referees affirmed her teaching skills. Her written work presented as part of the application process showed a creative re-working of a taught course, to enable engaged mission learning in Aotearoa New Zealand. Rosemary is in demand in Australia and New Zealand to speak in areas of mission and leadership. She has an extensive record of publication, including a book on intercultural leadership entitled Breaking Calabashes: Becoming an Intercultural Community and articles on indigenous theology, missiology, and online curriculum design. Rosemary has, with permission of local iwi, published in areas of Maori theology and missiology. 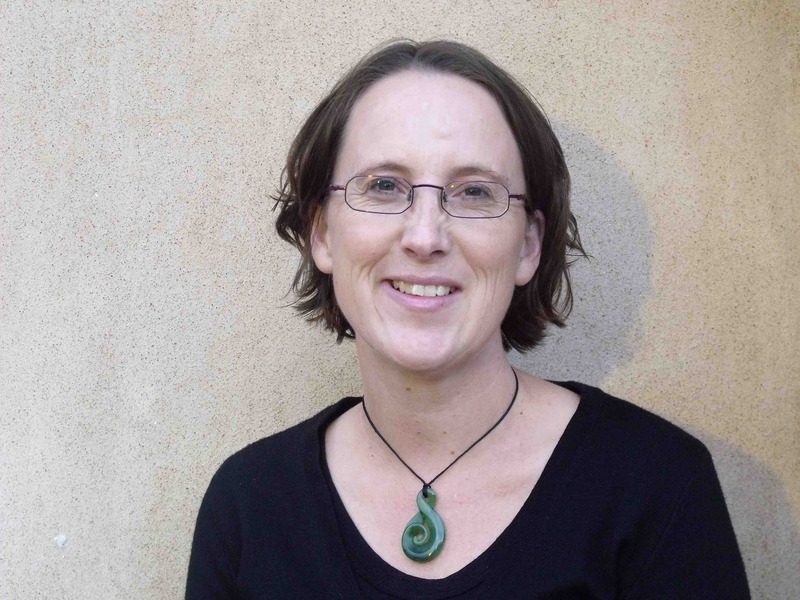 She has studied Te Reo for three years and taught in a Maori theological context. Rosemary has designed and taught online courses for Laidlaw College and Uniting College. She has been part of a review team that redesigned the online learning at Uniting College and was commended by her referees for her skills in this area. She has published in this area, reflecting theologically upon online curriculum redesign. She has worked as a former trainer of ministers in seminaries in Central Asia, Australia and most recently St Johns College. In the interview, Rosemary spoke of a call to come home and believed that applying for this role was part of that call, given her roots are in the PCANZ, having grown up in the manse in urban, small-town and rural communities and worshipped as a young adult at St Pauls Trinity Pacific (Christchurch) and Fairfield Presbyterian. The panel were struck by her connections with the PCANZ historically and with NZ cultural contexts. They found Rosemary personable and engaging, possessing a grasp of the complexity of the project and a track record of experience across all the desired and essential outcomes. They sensed a deep commitment to listen and to mutual transformation. They recognised an energy, the ability to be a self-starter and a strong sense of passion for the future of the church. In Rosemary they are confident is a person who can fulfil the expectations of Thornton Blair, and deliver a project birthed in listening to the church, yet able to sync with the complexity of professional standards, ministry realities and post-graduate higher education processes. How was the appointment made? The Thornton Blair Research Fellow concept was agreed by the KCML Advisory Board in October 2016. A funding application to the Thornton Blair Trust had been agreed by Senatus in August and recommended to Church Property Trustees in late November. The role was advertised and an interview panel of five shortlisted in early December. The panel asked three applicants to provide further information, including a sample of writing, a one page plan for stakeholder engagement in the first two months, further referees and to be interviewed in January 2017. The panel prepared a list of set questions. At the end of the process, the interview panel were unanimous in affirming that Rosemary had the gifts and graces for this unique role. Congratulations Rosemary, may this position be a wonderful time of being able to use your gifts and strengths.